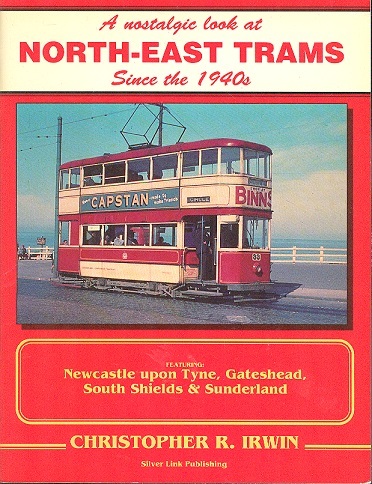 A Nostalgic Look at North-East Trams Since the 1940s. Irwin, Christopher R. Silver Link Publishing Ltd, 1990. 1st Edition. ISBN: 0947971459. 64 pages. 300g. Stapled soft covers FINE. Illustrated with b/w photographs and some colour.